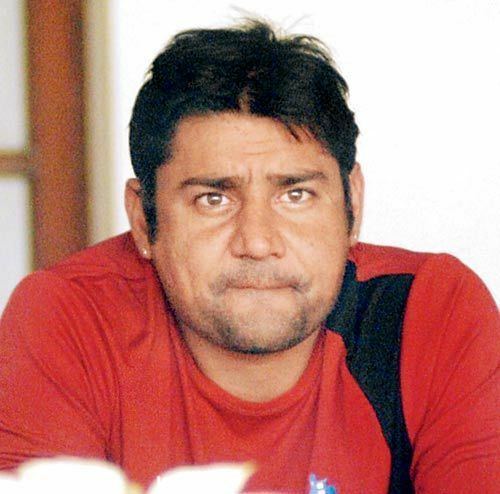 Vijay Dahiya pronunciation (born 10 May 1973 in Delhi) is a former Indian cricketer and current coach of Delhi cricket team. He was a right-handed batsman and wicket-keeper who started playing First-class cricket for Delhi in 1993/94. He made his international debut during the 2000/01 series against Zimbabwe. He was also a part of the North Zone cricket team which won the Duleep and Deodhar Trophies during the 1999/00 season. In 2009, Dahiya was appointed as the assistant coach of Kolkata Knight Riders, the Kolkata-based franchise cricket team of the Indian Premier League (IPL). He made his First-class debut against Punjab at Ludhiana in the 1993/94 season. He was an integral part of the North Zone team which lifted the Duleep and Deodhar Trophies in 1999-2000, and also captained Delhi for some time. He retired from all forms of cricket after playing his last match against Uttar Pradesh in December 2006. Just before retirement, he began his Ranji season with a fine 152, his highest first-class score, against Tamil Nadu that bailed Delhi out of trouble, and effected a stumping against Uttar Pradeshs Praveen Kumar that helped his side gain a vital first-innings lead. His international debut was in an ODI against Kenya at Nairobi Gymkhana in October 2000 in the ICC Knockout Trophy. His contribution in that match which India eventually won was a stumping and a catch. He went on to play in total 19 ODIs for India. The last of which was against Australia at Fatorda Stadium in the 2001 series. His highest ODI score was a knock of 51 off 39 deliveries against Australia in the 1st ODI at M. Chinnaswamy Stadium which helped set up a match winning total of 315. He was named Delhi coach in 2007/08 season and was sacked 2013/14 season due his Kolkata Knight Riders commitments. During this period he led them to a Ranji Trophy triumph in 2007-08 season to end a 16-year title drought. He was appointed the assistant coach of the IPL franchise Kolkata Knight Riders in 2009. In September 2014, he was re-appointed as the head coach of the Delhis Ranji Trophy side for 2014/15 season.